Vero, which means truth in Latin is the name of the new social media app on Apple and Android. And true to its name, the app feels more realistic than countless others on the same platform. Personalizing your profile is easy and not overwhelming. You get to add an avatar or three, write a bio about yourself, and feature a post on your profile, which is a category among others that I will write about in detail below. The dashboard is sleek and simple, showing you your friends recent shared activities, and even allowing you to introduce a user for your followers to follow. The first thing you notice is the stylish and clean User interface. And by clean, I mean no ads, and not just because the app is just starting. The company seems determined to keep the no ads policy since it’s not going to be free for long, it’s only free on Apple and Android for the first one million users. The decision behind the absence of ads isn’t just for the purpose of a cool interface, it’s also benifints the privacy of the users tremendously. Privacy is the big selling point for Vero, with every post you make you get to choose who can see it with an easy slider divided into four categories, the first being “Close Friends” the second “Friends”, the third “Acquaintances” and the last “Followers”. You can also choose to publish your posts to other social media apps with just one click. The privacy feature is so simple yet million times more effective than the pages long complicated privacy settings on Facebook and the lacking and useless one tick box on Twitter. Unless you used a hashtag in your posts there’s no way anyone can view it without your permission to do so. It was annoying at first not simply posting a text, but I got over it fast. The six post options give you the ability to post pictures, links, music, movies/tv, books and places and add your commentary and recommendation on each. 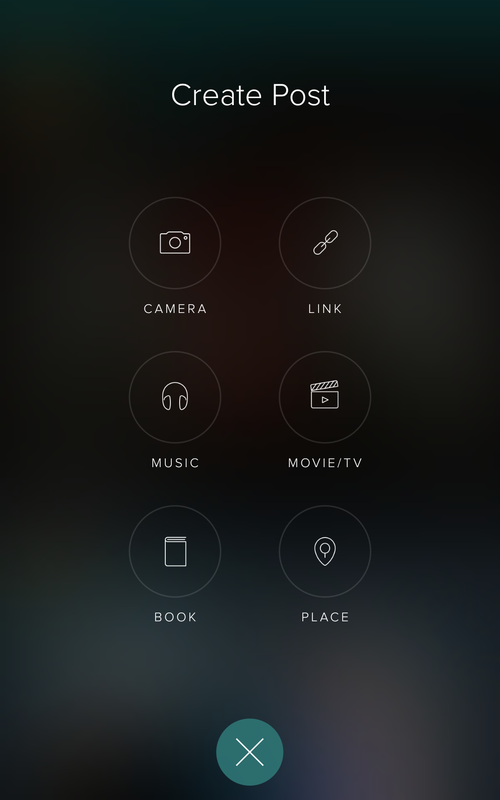 The Camera option is fairly basic, you can post any picture or video you have saved on your phone or simply capture and edit before posting it. In the Link option you can share any link you copied to your clipboard, even youtube and it goes further by making you choose your preferred thumbnail. The Music option is where it gets fun, not only do you get a huge selection of music powered by iTunes, but you could actually play them before posting. The Movie/TV list is provided by themoviedb.org sorted by most popular just like the Music category. The Books category is similar to the two previous ones and the Place category is self-explanatory. Adding a more impressive feature to its already impressive list so far, you can simply tap to buy stuff, watch trailers or listen to music on posts, without even leaving the app. I’m usually wary of adding my card to any social media, but with an app that doesn’t sell my information for online advertising companies, and stresses on its privacy features I might have to rethink my choice. While it’s still new, the app already has a variety of users, and creators of all type. 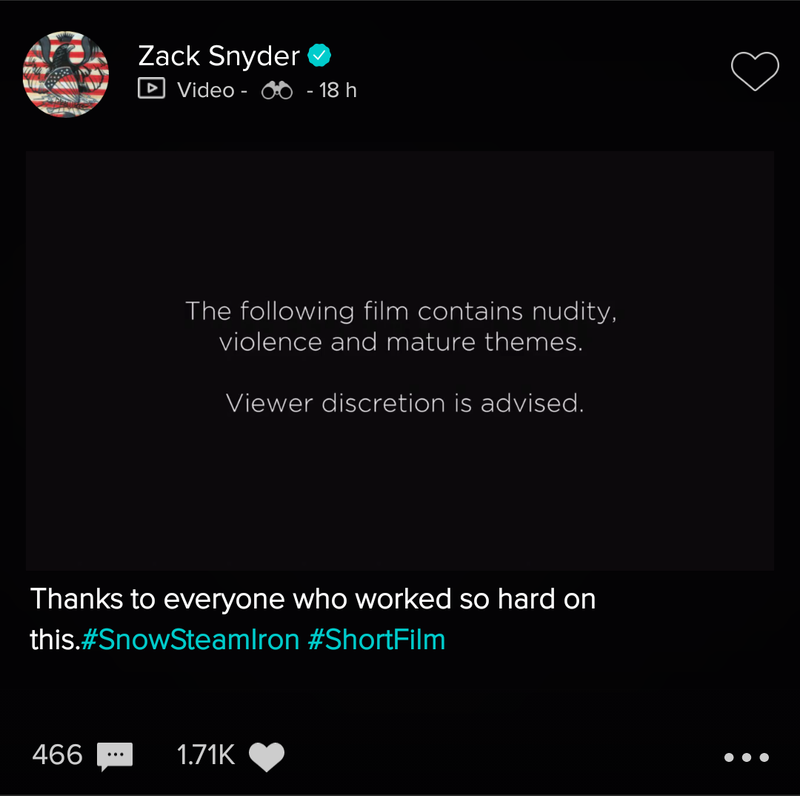 For Example, 300 and Batman v Superman director Zack Snyder recently posted a short movie he’s been working on, on Vero. It is also filled with brands like British GQ, Oliver Spencer and Paris Match. And countless others, enough to keep you entertained. There’s a few shortcomings like losing connection, broken link issues and the lack of a like button in the comments section. But it would be unfair to judge because the app is still in beta stage, so probably a lot more improvements are coming. Like the introduction of the hashtag in the last update. Vero succeeds in humanizing social media apps, something that the countless others are still trying to achieve, and it's done in style. It’s not an app for kids to share memes on, nor is it a too complex advertisement pages targeted at business owners. It simply makes social media almost parallel to our lives, and with a 4.5 average stars rating on both Android and Apple store, it looks like people are liking it.